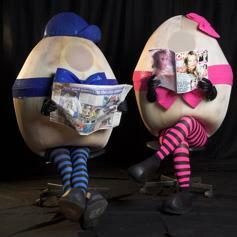 The original giant walkabout Eggs on Legs, these characters are guaranteed to make you smile!! 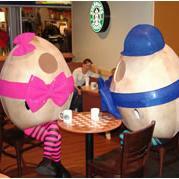 Perfect for Easter or any food themed events, these eggs are interactive, mischievous and great fun. With a nutty chef joining them on their misdemeanours and trying to keep these cheeky eggs under control, this humorous trio bring laughter wherever they go! 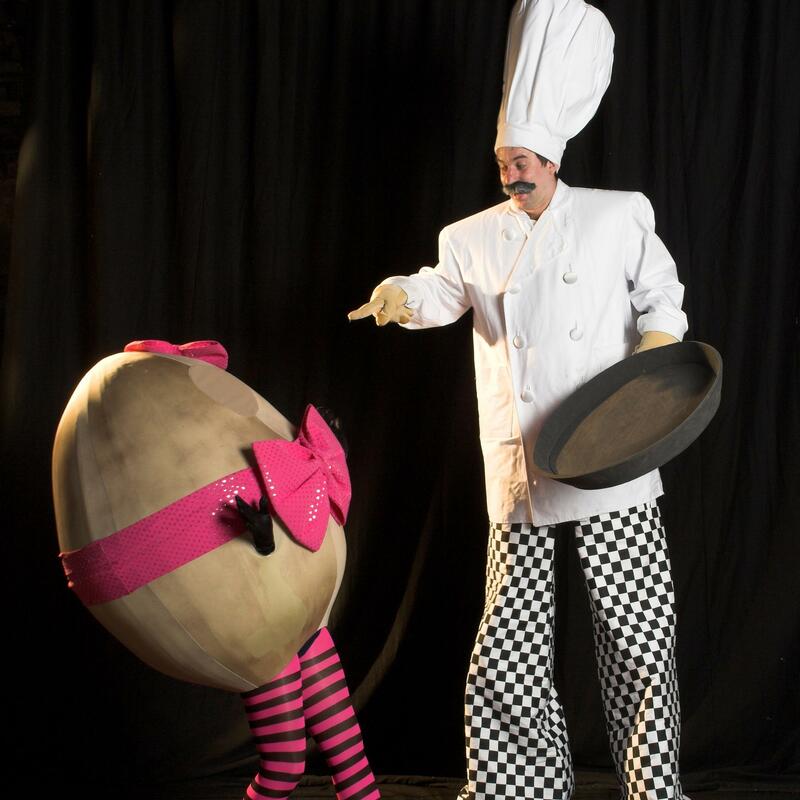 A comical and highly visual walkabout with mobile soundtrack and a choreographed dance show that never ceases to raise a smile, these eggs get people of all ages dancing along to their infectious egg-centric promenade. Having roamed to Bristol Organic Food Fair, Edinburgh Fringe, Blackpool Dance Festival and others all around the UK, these eggs are well yolked. For more information on Eggs on Legs, please contact your Account Manager.